Whether for breakfast, lunch, or dinner, eggs are one of the healthiest ingredients around. 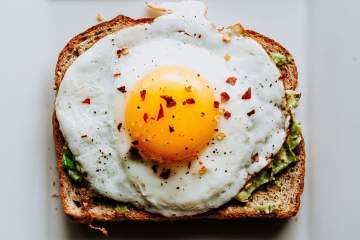 Sometimes called nature's multi-vitamin, eggs actually contain at least a little bit of almost every nutrient we need while also packing in the protein with 6 grams of protein per egg. So whether you make them for breakfast in these portable Ham and Cheese Egg Muffins, whip up a light and healthy Egg Salad, or make these Parmesan Baked Eggs for dinner, including eggs in your diet is always a good idea. Everything you have ever wanted to know about eggs including their nutritional information, health benefits, cooking and storage info, and plenty of healthy and delicious egg recipes.